The Allure Xena sprayer is strong on the inside and radiant on the outside. 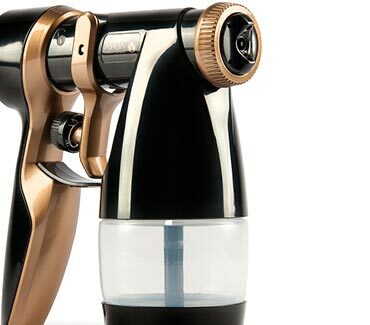 It has the deluxe Xena click & tan gun with metallic highlights, to match the compact glossy turbine, making it perfect for salons and spas. Click & Tan technology for quick interchange of solution shades. No contamination of the gun, saves time and money. Finest atomization for perfect coverage, a smooth feeling on the skin and low overspray. The solution dial has been especially designed for the tanning market and gives 0-0.50ml of solution control. Disconnect front end of gun from handle to reveal savvy tan dryer. No need to detach the hose, more professional, more practical. Gun stands with hose connected. Vertical, horizontal and now contouring spray patterns. Contouring is perfect for muscle definition shading. Simplest gun in the market to clean. 3 removable pieces, easy to put back together, no chance of assembling incorrectly. Strong non-removable tapered needle. Solution pick up tube with teeth and concave cup internals prevent intermittent spraying, allowing solution to always flow. 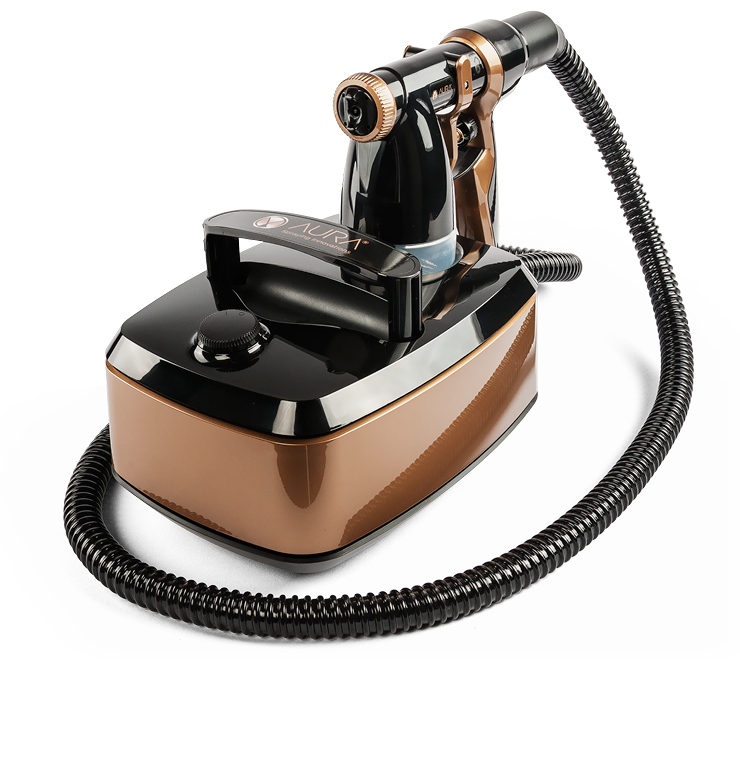 Deluxe gloss black body with metallic gold highlights, combining the best of tanning gun technology proven in the market. 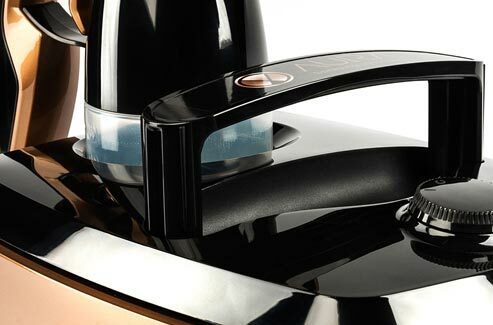 Polished black surfaces and a glittering finish give this machine a lavish feel of glamour, class and opulence. ON/OFF dial designed with the end-user in mind. Prevents breaking of beauty nails, unlike push switches. Less noise allows more flexibility for salons, spa’s and training schools. You can now listen to your customers and students. Compact, feminine and easy to store away, with a practical, first to the market cable management feature. Unique hidden handle sits neatly within the design of the turbine and draws up to aid in storing and moving the machine. Customise with branding available. Machine can be moved with the gun docked. No spillages, no need for extra hands. All in one storage solution. Overspray is channelled behind the side panel and directed into the filter hidden underneath the unit.